Having defeated the first 2 bosses in the previous reset, we faced a dilemma which ones to target next. Obvious choice was to simply follow them in the natural order, but we chose to proceed otherwise. Since the third boss, Norushen, is in part a gear check and we previously sacrificed some farming time for the sake of progression, we chose to skip that for now and targeted boss number 5, Galakras. The fact that Norushen was hotfixed, if not redisgned, just recently only backed that decision up. 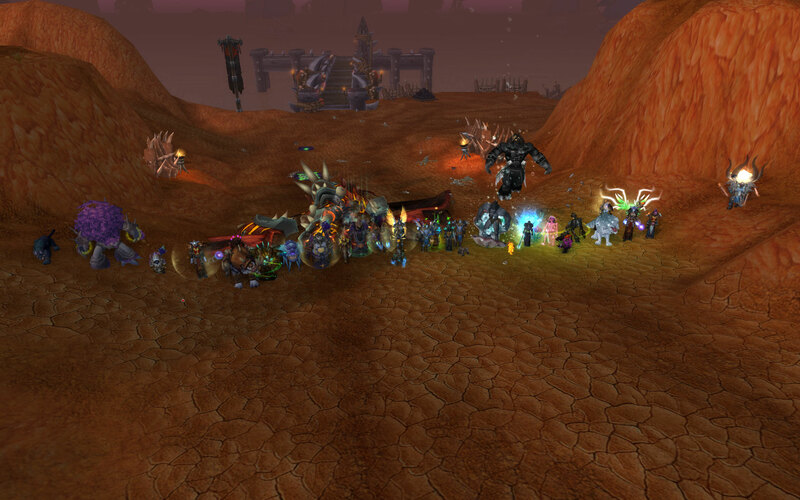 Galakras proved to by quite an entertaining encounter, much more so than in normal mode. It took some attempts to figure out the optimal dps division, priority of targets and general timing for the first phase. Then, to our satisfaction, we managed to get the second part of the encounter sorted out after we only saw it once. Soon after, a kill followed. One not very positive aspect of the raid that killed the boss was that we had quite a few signups that day, hence choosing those to sit out was fairly unpleasent. Big thanks to those who did end up on the bench, I realize it’s not satisfying to participate in the learning process, but then miss the kill. Oh yes, and the title of the post IS indeed a smart reference to Galatasaray Sporting Club!